We here at BonksMullet.com are trying to decide on the Sens GIF of the year. We've managed to narrow it down to 16 of our favourites. 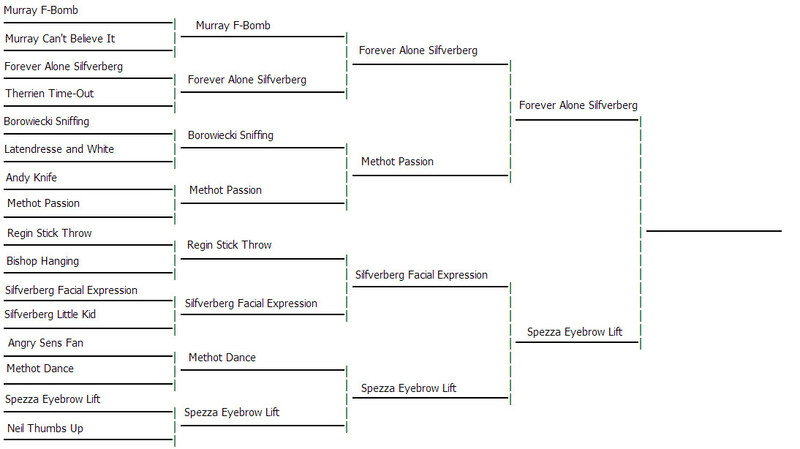 We are leaving it up to you, our readers, to vote using our prepared bracket to determine the winner. These are the final two candidates for the Sens GIF of the year. Note that we made the decision to only include GIFs that don't involve photoshop, i.e. "real life." If your GIFs are freezing, right-click them and open them in a new tab. In the top four we had two blowouts/ Silfverberg's playoff moment was able to surpass Methot's clinching moment with 70% of the votes. 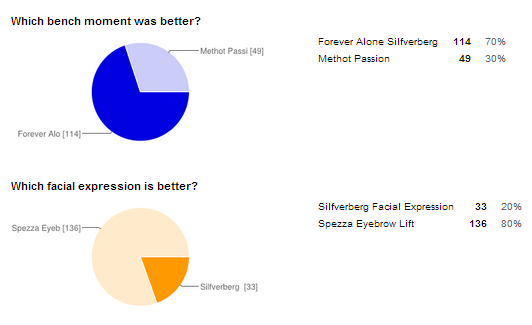 However, Spezza was able to amass 80% of the votes to prevent Silfverberg from being guaranteed the GIF title! Now you decide, what is the Ottawa Senators GIF of the Year?